One Day is Victoria’s kick off to community living month with FREE entertainment, activities, kid’s zone, and more! 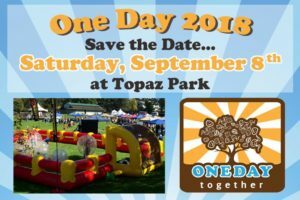 One Day also features a low cost BBQ and a marketplace for local artisans! Interested in joining our marketplace? Download our reservation form.